Making your life easier since day one, the four-door 2018 Ford Escape is rich in technological advances and modern performance features. Building on a legacy of trust the Escape ensures that you and up to five loved ones are looked after as you explore the open road. Available trim levels include the S, SE, SEL, and the Titanium. 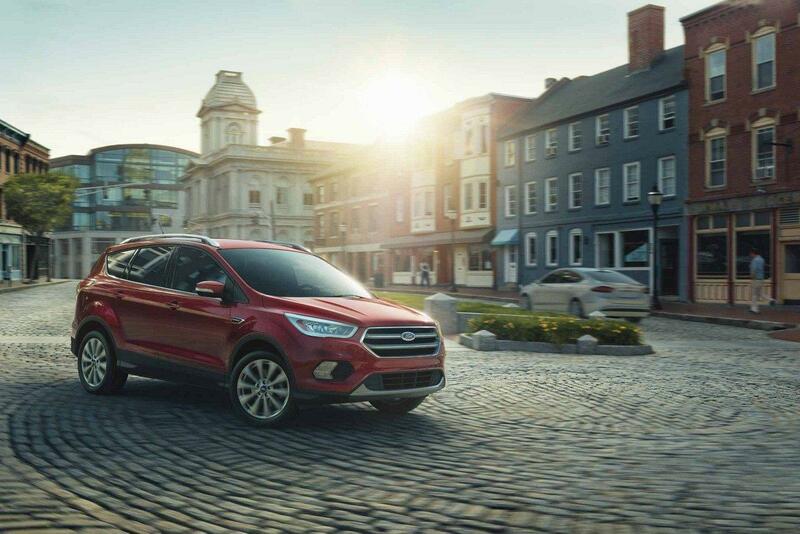 Elegance adorns the interior surfaces of the 2018 Ford Escape where beauty and practicality combine to bring you an environment that is perfectly balanced. Detailed luxury is found with the available ambient lighting while an available leather sport style v-shaped heated seat provided lasting comfort and warmth. Grip the leather-wrapped steering wheel with mounted cruise and audio controls as you access your settings without distraction from the road. You are given effortless satisfaction through the dual-zone electronic automatic climate control as it provides two different front temperature settings at the same time. 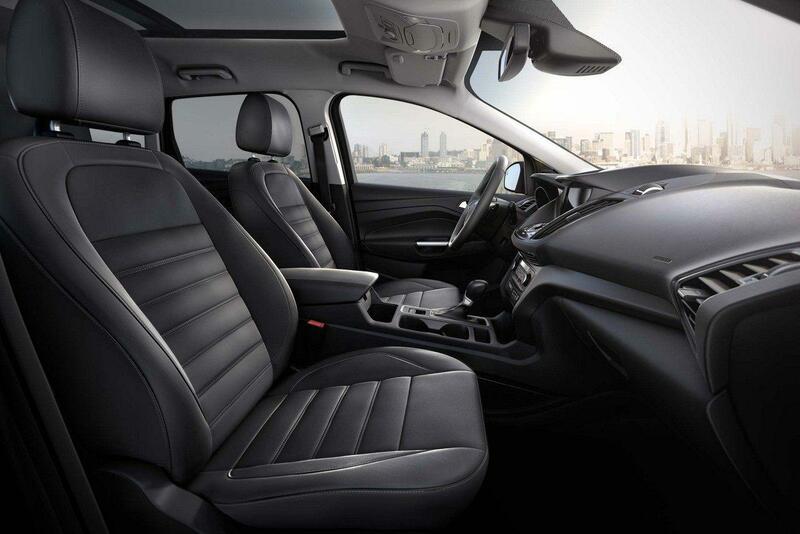 Bring along a large variety of cargo items without complications as you utilize the 1,925L of total cargo space when the rear seats have been folded into a flat load surface. 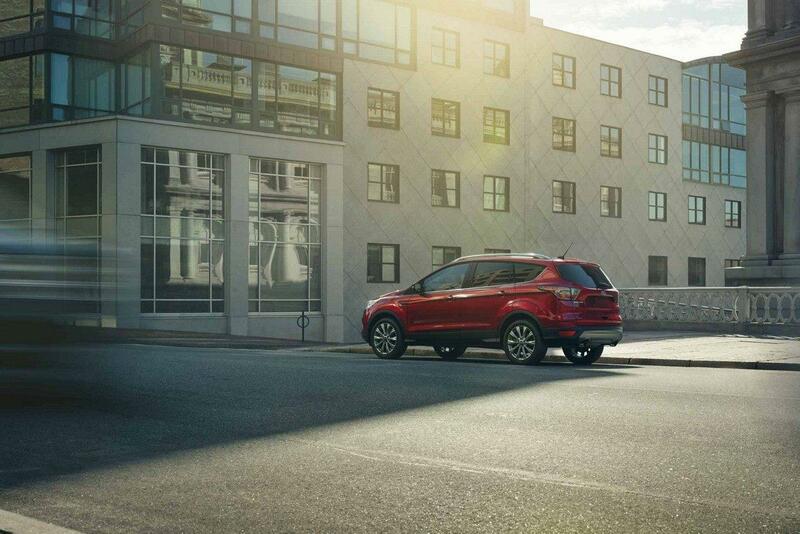 Make the most of each drive with the advanced connectivity and entertainment of the 2018 Ford Escape. You are given an optional SYNC 3 system with an 8-inch LCD touchscreen as well as an easy-to-use interface. Make calls send messages and stream your music without compromise as Apple CarPlay and Android Auto connect you to your compatible smartphone and deliver an on-road experience like nothing else. Unleash your creative side as you build your 2018 Ford Escape with the addition of select Genuine Ford accessories. You are able to enhance protection through seat covers, a hood protector and interior floor mats or expand exterior durability through items such as splash guards door sill plates. Don’t take no for an answer as you explore your world with an open mind in the 2018 Ford Escape. With three engine options and a series of innovative performance features, the Escape delivers more than expected as it travels with efficiency and power. Handle a variety of conditions with ease through the 6-Speed SelectShift automatic transmission as torque vectoring control with traction control enhances traction when required. Through the optional intelligent 4WD System you are given advanced performance as it continually monitors road conditions to ensure precise handling and traction. Created with the modern family in mind, the 2018 Ford Escape stands out from the crowd with legendary performance, trusted reliability and modern delights all around. Explore the 2018 Ford Escape at your local Vernon Ford dealer - Watkin Motors Ford. Through a vast selection of vehicles and a team dedicated to customer service, Watkin Motors Ford shows you why you will never regret shopping local.